My December Paper Pumpkin kit arrived this week. I used the 4 “oops” die cut elements to make 4 birthday cards. (The correct die cuts were added as a separate packet in my box). 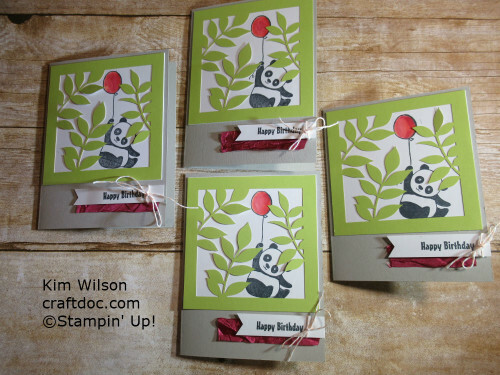 The Party Pandas stamp set cannot be purchased, it’s a Sale-a-bration freebie. Right now demonstrators can get it with a $50 purchase, and customers starting January 3. Here is the Flora & Flutter Paper Pumpkin Kit. Don’t you love the bright colors and fun die cuts? I have a few extra kits – contact me if you would like to purchase one. 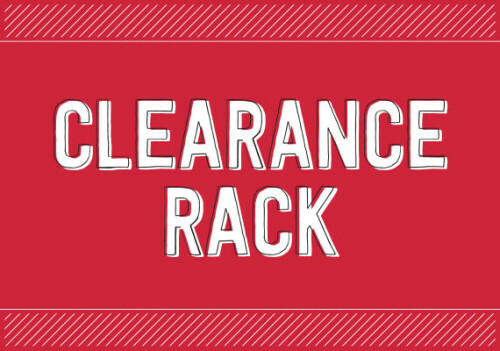 Don’t forget about the Year End Sale (lots of retiring Holiday catalog products) and the updated Clearance Rack – punches, dies and more at my shop.